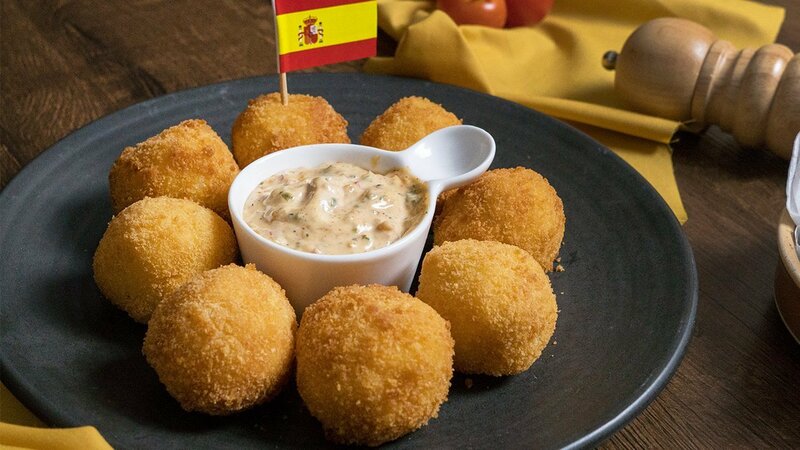 Dunk these crispy potato balls into this specially created dip for a heavenly mouthful. Bring water to boil and add Knorr Mashed Potato. Stir well to dissolve. Portion into balls, coat with egg wash then panko. Deep fry till crispy and cut into halves. Sauté all the ingredients until fragrant, add in seasoning, stir well and fold into mayonnaise to combine. Serve as a dip on the side.